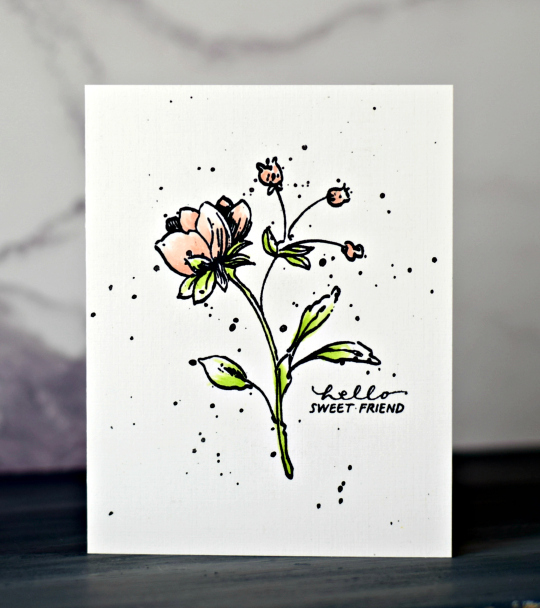 A quick card for a sweet friend. Altenew Botanical Garden stamped in Memento and colored lightly with Altenew Alcohol markers. Stentiment from Technique Tuesday. Added some paint splatters and it was done. It might be a quick card, but it's sure to bring smiles to your friend. Beautiful flower! I really like the speckles.